The ‘service’ of court documents is a means of starting court proceedings against somebody. The documents you can be served might be anything from a Complaint, to a Statement of Claim, to Divorce Papers. There are certain requirements for the service of divorce papers in Australia. 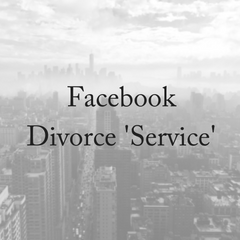 So what is ‘service’ and how does Facebook fit in? In the US state of Nevada, they refer to the service of court documents as the “service of process”. Where once they only used the publication of materials, they have turned to the use of social media as a way of serving spouses for divorce. The opposing party can be contacted via Facebook or Twitter. “We believe this is a faster and easier way to start the divorce proceedings,” explained Stacy Rocheleau, founder of Right Lawyers. “Many of our clients want to get the process over and done with. They haven’t seen their spouse for years, and need a divorce.” Stacy also explained that many times the other spouse wants a divorce just as bad. 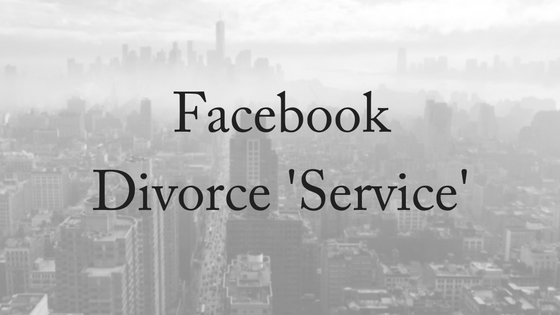 What might surprise you is that 5 years previous to this New York ruling, the Family Court of Australia allowed service of documents via Facebook – it just didn’t make the news in quite the same way. With the permission of the court in relation to any civil proceedings, you can serve documents via a substituted means. This substituted means can include text message, email or Facebook. 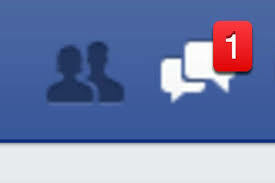 You just need to make sure that privacy is not waived when using social media. The service can only be done via a private message – not a publicly available avenue. Service is the legal term used to describe the giving of court documents by one person to another. The court must be satisfied that the other person has received them. This is particularly pertinent if the person served does not attend court. Service is a requirement to allow the other party to be notified of the pending application for divorce involving them. Who serves the divorce papers? If a divorce is done via joint application then there is no service of documents to your spouse required. It is only required for a divorce when there is a sole application. In this case arrangements need to be made for the other spouse to be served with the appropriate documents. How can they be served? 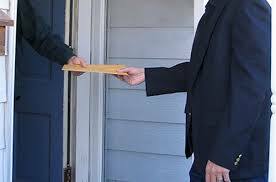 Service is usually done by post or by hand and there are certain requirements surrounding whichever is chosen. Service by post is only an option if you are fairly sure that the other party will sign and return the Acknowledgement of Service (Divorce). If this fails then service by hand is usually the next step because the court needs to be satisfied that service has taken place. Service by hand cannot be done by either spouse when serving divorce papers. A person who is over 18 years of age must be arranged to be the server. This might be a family member, a friend or a professional process server (a professional that you employ to fulfill the service requirement). What happens if you can’t find your spouse? If a spouse cannot be found then you can apply to the Court for substituted service or dispensation of service. The person applying will need to complete an application and an affidavit (a written statement used as evidence). In the affidavit the spouse applying will need to explain the steps that have been taken to locate the hard to find spouse. Substituted service would include using means such as Facebook or text message or allows you to involve a third party who the court is satisfied will bring the court documents to the attention of the person to be served. Dispensation of service is only granted in exceptional circumstances which allows the court to dispense with the requirement of service. What attempts, efforts and enquiries you made to find the respondent. When you last saw, spoke to or communicated in any way with the respondent, and the circumstances of that sighting or communication. The last known address of the respondent. Who are the respondent’s nearest relatives and friends, what enquiries you made of these people about the respondent and any replies received. What employment, if any, the respondent had. What enquiries you made with the respondent’s last known employer and any replies received. Details of any current child support or maintenance arrangements or orders. If correspondence has been received from the Department of Human Services (Child Support), attach a copy to your affidavit. Details of any property, bank accounts or businesses jointly owned. If the respondent lives overseas, details about the country they are living in, how long they have lived there and if they plan to travel or move back to Australia. Any reasons why the respondent may not be contactable. The costs of trying to locate the respondent and whether such costs are creating financial difficulties for you. Any other relevant information that may help the Court. It is quite clear that you must try all reasonable efforts to serve the documents by hand or by post, and that substituted service is a last resort. When does the Application for Divorce need to be served? There are time limits. If your spouse resides in Australia , the documents need to be served at least 28 days before the court hearing. If they are overseas then the documents need to be served at least 42 days before the court hearing. The completed and signed documents then need to be either uploaded electronically via the Commonwealth Courts Portal (using eFile) or posted directly to the family law registry where the application for divorce is being heard. At Divorce Lawyers Brisbane we understand what a challenging time separation and divorce can be. Our family lawyers are experienced in navigating the complexities of family law and offer a free, 10-minute phone consultation. Please contact us today!